The P.D.O. region of Kalamata in the southwest Peloponnese, overlooking the Ionian Sea is a vast olive grove. The fresh, green handpicked Koroneiki olives used solely for the production of this “cold-pressed” superior category Extra Virgin Olive Oil, deliver an extremely well-balanced olive oil with a unique pepper and almond aftertaste. Taste Profile: Peppery flavor of fresh green olives and a bitter almond aftertaste, rich in polyphenols and antioxidants. Pairing Suggestions: Tomatoes, leafy salads, drizzle over steaks, pasta, fish, grilled chicken, fresh vegetables, etc. Classified P.D.O. (Protected Designation of Origin) by the EU. The EU P.D.O. symbol guarantees the superior quality and integrity of the product. This superb Organic, Extra Virgin Olive Oil is the result of a long-standing collaboration between GAEA and a carefully selected network of organic producers who cultivate their olive trees with pure sustainable methods and according to the national and international standards of organic farming, handling and production. The “Koroneiki” variety organic olives are hand-picked and “cold-pressed” within hours of harvesting, producing an exceptional quality organic olive oil with unique organoleptic characteristics and fresh aroma. Taste Profile: This oil has a characteristic aroma of fresh green olives and a fruity taste. Pairing Suggestions: Fresh salad, grilled vegetables, fish, chicken, great for dipping with bread of fresh vegetables, etc. Certified organic by “DIO” according to EU as well as the USDA NOP standards. A first cold pressed Extra Virgin Olive Oil from handpicked Koroneiki olives. This olive oil is smooth with green color and aromas of fresh herbs and almond. 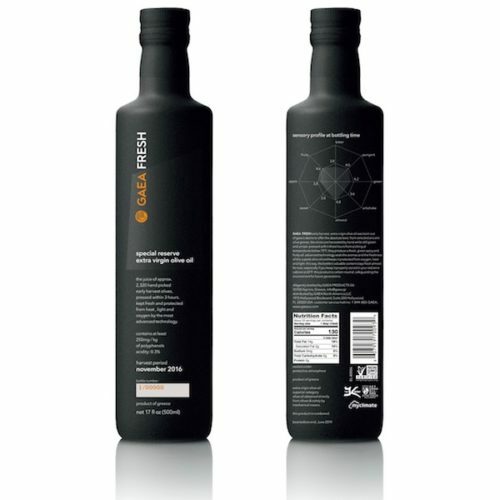 Taste Profile: This oil has a characteristic aroma of fresh olives and a fruity taste. Pairing Suggestions: all around, great for cooking, grilled vegetables, fish, chicken, great for dipping with bread of fresh vegetables, etc. 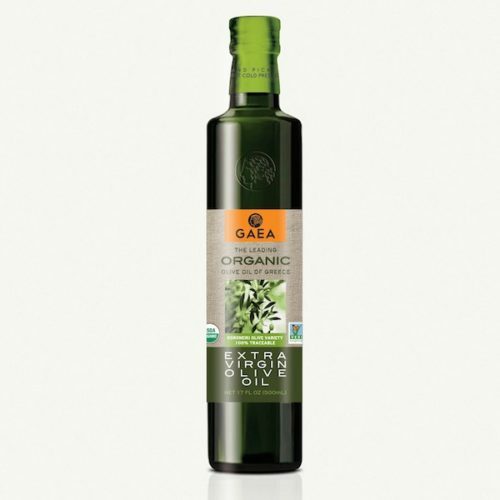 GAEA FRESH is a high-quality Extra Virgin Olive Oil produced with the utmost care from the harvest to the shelf. Using the latest technology, we can seal in the freshness of early harvest and capture the intense aroma and taste. The P.D.O. GAEA Regional Sitia is made of Koroneiki variety from the most celebrated olive oil producing territories in the world. Since the Minoan era, almost 5000 ago, the extended sunshine, the mountainous grounds and rich soils of Crete, have provided a unique microclimate for the cultivation of olive trees. 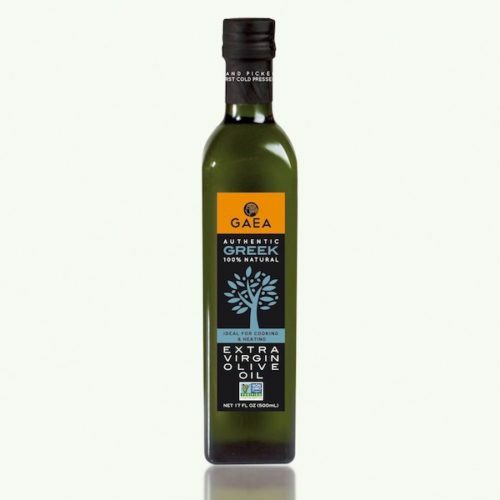 Obtained directly from handpicked renowned “Koroneiki” variety olives, this “cold-pressed” superior category Extra Virgin Olive Oil carries the unique combination of a harmonious taste with a fruity & slightly peppery aroma. Taste Profile: Fruity and aromatic, the absolute world champion in the category of medium fruitiness. Pairing Suggestions: Fresh salads, Greek salad, white meat, grilled fish, lamb, great for dipping with bread or vegetables, etc. Classified P.D.O. (Protected Designation of Origin) by the EU. The EU P.D.O. symbol guarantees the superior quality and integrity of the product.